I must say, we are Blessed to be living close to the gulf beaches. 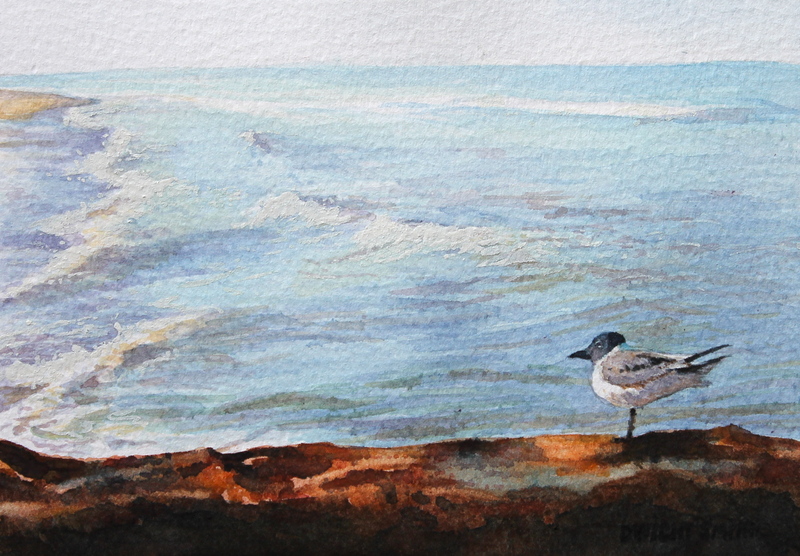 This is a original watercolor of a beautiful morning along the gulf coast and this seagull is certainly enjoying the water from a sea wall. This shoreline painting depicts the various colors in the water. Thank you for visiting my art.